Some of you may have heard the concept 3D printing but, have you ever wondered what 3d printing actually is? 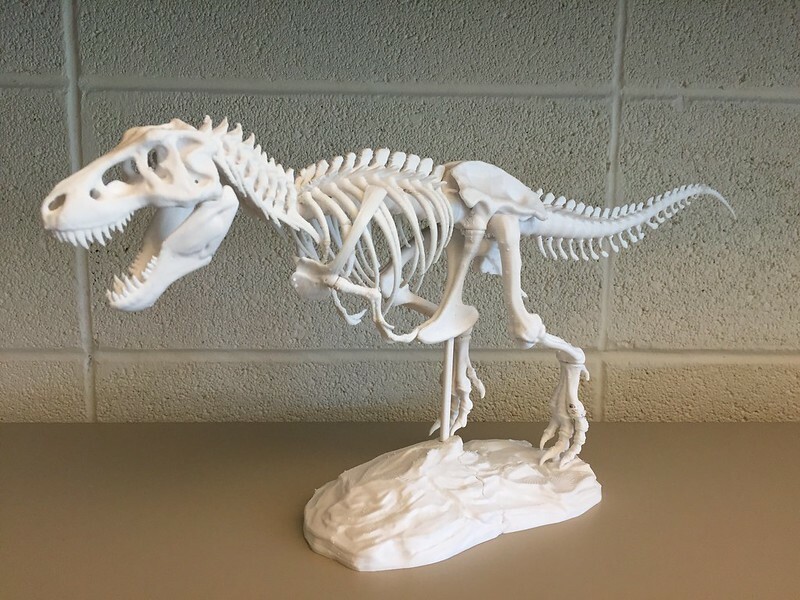 What you can make in a 3d printer and what are 3d printing figures made of? Have you ever wondered how it all works? I have, and I had the opportunity to investigate about it for my eight assignment for my IT Fundamentals class. Comic Patrol, Eyes Beyond The Lens, and me had the task to create a power point presentation and research about the definition, history, description of technology and applications of 3d printing. 3D printing, also known additive manufacturing (AM), is a process in which, from a digital model, physical objects are created with a material that is poured in layers. It’s an innovate technology that consist in a printer being connected to a computer that can create a digital object into a solid one. 3D printing exists since 1983; it was called stereolithography then. This technology was discovered by Chuck Hall when one night he managed to print a black plastic cup. Also, it was a process called “rapid-prototyping” because of how fast and cheap objects could be created. 3D printing works with the creation of a digital design of the object that is going to be printed. Therefore, the digital designs can be created with a computer-aided design (CAD), a 3D scanner or a digital camera with a photogrammetry software. Before printing the model it must first be examined to see if there are errors. A function called “Repair” in the STL, a file format native to the stereolithography CAD software created by 3D Systems, should fix this. Once that is done, the digital model must be passed through a software called “slicer” were the model is separated in layers that produce a G Code with instructions for a specific type of 3D printer. Lastly, the digital model can be printed with the client software of the 3D printer that has the G Code and uses it to instruct the printer during the process of 3D printing. However, it is important to mention that models, depending on their complexity, size, and method of 3D printing is used, can take hours to days in this final step. Qlone, Thinger and Thingiverse are some applications that are accesible to the public to 3d print. Qlone is an application for Apple and Android and that let’s you scan a model and animate it for other people to see. On the other hand, Thinger, also for Apple and Android, is an app were you can share 3d printed objects with friends, family or random people. Lastly, Thingiverse is a website that also in an app available for Apple and Android, that lets you create a 3D digital model and print it for free and afterwards, your object is shipped to you. Stansbury, J. W., & Idacavage, M. J. (2016). 3D printing with polymers: Challenges among expanding options and opportunities. Dental Materials, 32(1), 54-64.